If you’re interested in the paranormal but don’t want your information over hyped, sign up below. If you’re had paranormal encounters and are looking for explanations, this is a great place to start. If you’ve had a paranormal encounter that’s left you upset, scared, or traumatized you’re invited to seek help from the members of the community and the experts listed here at Psychic Revolution. Sound interesting? If this is how you regard the unexplained in life then enter your email address below and click “Get Free Updates”. 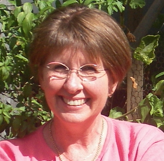 Rosemary was a Master of Education student at Monash University and completed her degree successfully and with flair. As her supervisor I witnessed Rosemary’s creative approach to her research as she initiated and designed an on line survey to explore people’s experiences of the paranormal. This innovative way of collecting data, generated considerable public interest, and led to several invitations to participate in live radio interviews, including one by Red Symonds on the 774 (local) breakfast program. Rosemary is an excellent communicator who values the internet to develop networks, and she is always willing to share her ideas collaboratively. Rosemary’s attention to detail, persistence in completing projects and passion for psychic phenomena, has enabled her to generate a new position as CEO of Psychic Revolution. My name is Rosemary Breen and I’m the creator of Psychic Revolution. This site is a natural extension of my academic research on the paranormal that I completed in 2009. I have been comfortable living with the paranormal all my life and because of my background in the business world, where I worked in finance, marketing and research for many years my approach to the psychic realms is fairly pragmatic. I live in Australia (in Melbourne, Victoria) with my husband and two children. In 2009, I completed her Master of Education at Monash University in Australia. The subject of my thesis was: The Nature, Incidence, Impact, and Integration of Spontaneous Paranormal Experiences. This dissertation was based on an online survey which I designed and launched on the internet in late 2007. The survey gained a lot of support worldwide and over 4,000 completed surveys were lodged. The survey is still cited on Wikipedia. In response to the demand to reopen the survey, in 2009 it went ‘live’ once again. I intend to leave the survey open in the hope that it will become the largest database of spontaneous paranormal experiences ever collated. You can find out more about me from my bio/resume at LinkedIn. The paranormal industry is in dire need of an image and reputation overhaul. It is difficult to know who is respected and qualified in the paranormal field and even more so, it is often impossible to know what is fact and what is fiction. Currently, it is hard for consumers to identify and access many of the best practitioners in the business. It is also difficult for paranormal consultants to easily attract clients. Psychic Revolution is changing the paranormal industry and people’s perceptions of it. In the current, start up phase, the emphasis is on establishing credibility and raising the profile and ranking of the website, which is based on my academic and ongoing research projects. In the second phase, Psychic Revolution will alter the way psychics and other paranormal consultants, and their clients connect. Practitioners want to grow their businesses. Their clients need help making the best possible choice and Psychic Revolution will help them with this. If you’d like to discuss the paranormal in a supportive, open environment then you’re very welcome to join us.